In case you forget how devastating Stephen Curry can be with a basketball in his hands, he reminded us on Tuesday night in the Golden State Warriors’ 111-95 win over the New Orleans Pelicans to start the season. 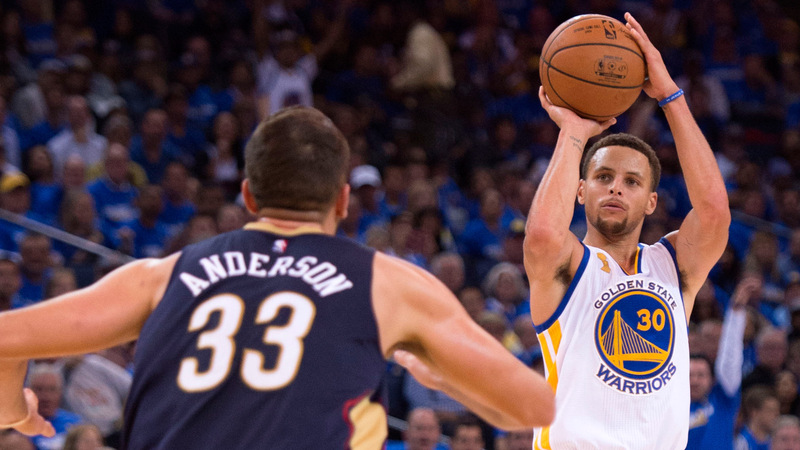 Curry torched the Pelicans for 24 points in the first quarter, making 9 of his 13 shots, including 4 three-pointers. He was the Human Torch yet again, but what’s new? And, of course, Curry’s performance set a record for the most points scored in the first quarter of a season opener in the last 20 years. How could we not expect this from the greatest shooter ever? Overall, Curry finished with 40 points, 7 assists and 6 rebounds. Not a bad start to his MVP defense.